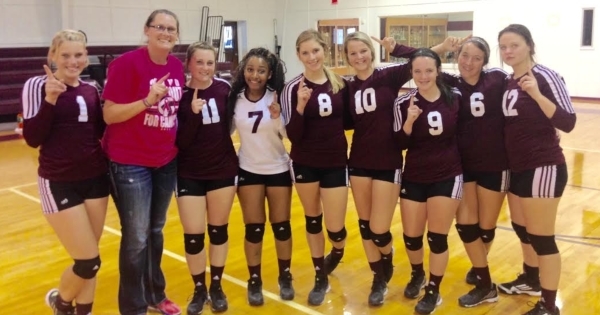 From Maud’s Coach Shannon Williams: The Maud Lady Cardinals played James Bowie in Maud last night. The Maud JV Lady Cardinals were victorious in 2 sets vs the Lady Pirates. The scores were 25-17 and 25-19. In the varsity contest the Lady Pirates defeated the Lady Cardinals in 3 sets. The scores were 21-25, 11-25 and 21-25. The next game for the Lady Cardinals will be in Rivercrest on Friday. The JV will play first, starting at 4:30. Leading Servers for the Junior Varsity: Marla Caudle 6, Caitlynn Poe 5, Riley Murphy 5, Makenna Jones 5, Maddie Lee 4, and Alyssa Caudle with 2. Leading Servers for the Varsity: Mara Wilson 7, Allie Liles 6, Harley Dear and Ashley Barnette 4, Keyla Mitchell, Bri Hemby and Lillie Love with 1. Digs: Allie Liles 3, Amanda McCoskey 2, Bri Hemby and Lillie Love with 1. Kills: Mara Wilson and Ashley Barnette 2, Allie Liles and Lillie Love with 1. Blocks: Mara Wilson and Lillie Love 1 each. 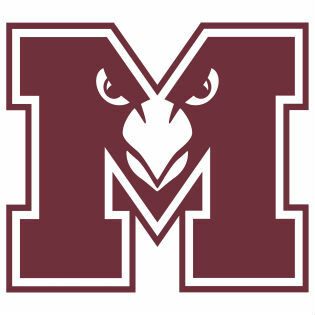 The Maud Cardinals beat the James Bowie Pirates 63-0 tonight at Maud.